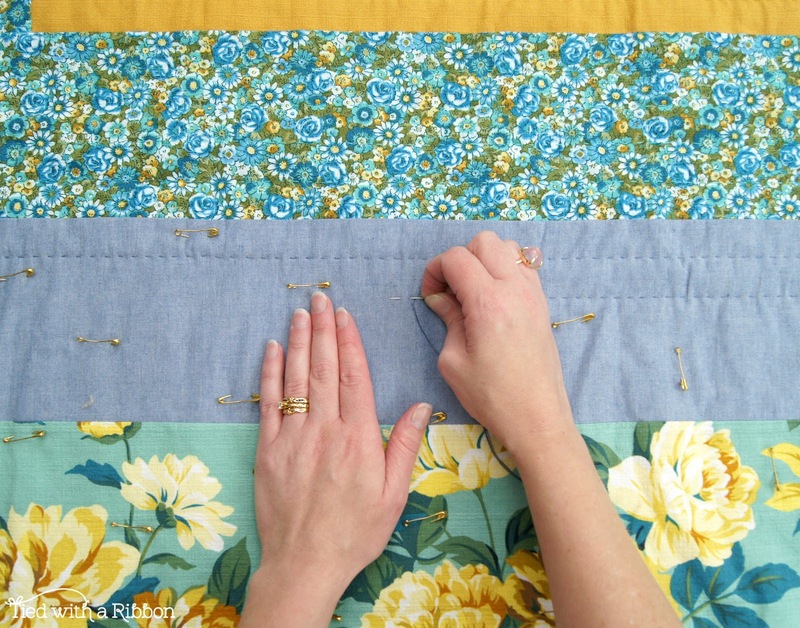 Tied with a Ribbon: My Favourite Hand Quilting Tools. My Favourite Hand Quilting Tools. I was recently reminded of how much I love Hand Quilting. 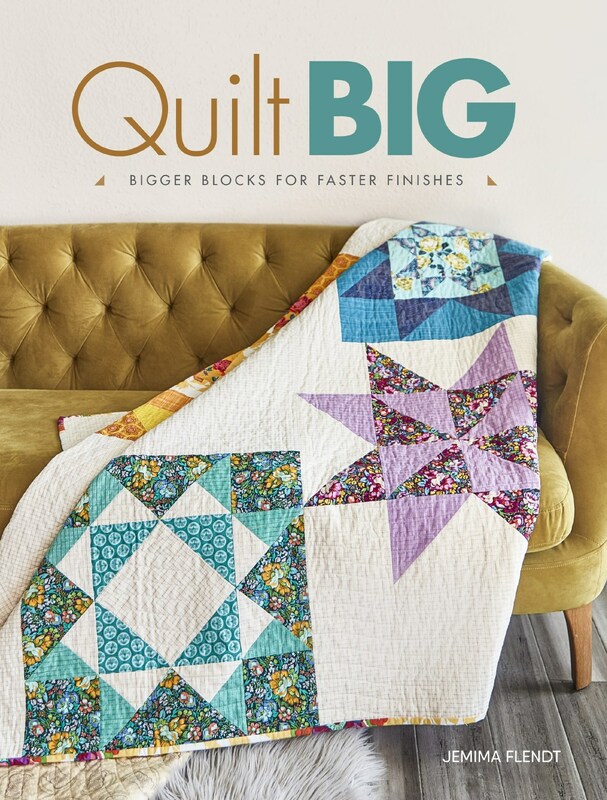 I used to Hand quilt many of my quilts - back before I used to quilt "professionally" a lot of the quilts I made, I used to love Hand quilting them too. Here are a couple of my hand quilted quilts that I have made. 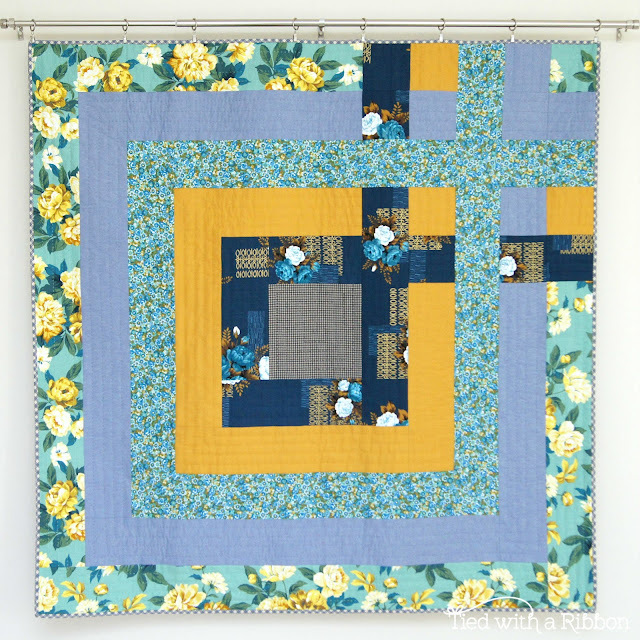 So having recently made my Junction Road quilt I was really reminded of how much I love Hand quilting and how I do need to make time for it again. I get asked a lot of questions about Hand quilting so I thought I would write a little about some of my Favourite Tools and Notions and some tips. NOTION 1 - Small Bent Safety Pins. I like to use these smaller gold style ones when I hand quilt. They are not as big and bulky as the larger silver safety pins, (which I use when I machine quilt). They are lighter and I like to space them about a "hand fist apart" for hand quilting. NOTION 2 - MASKING TAPE. 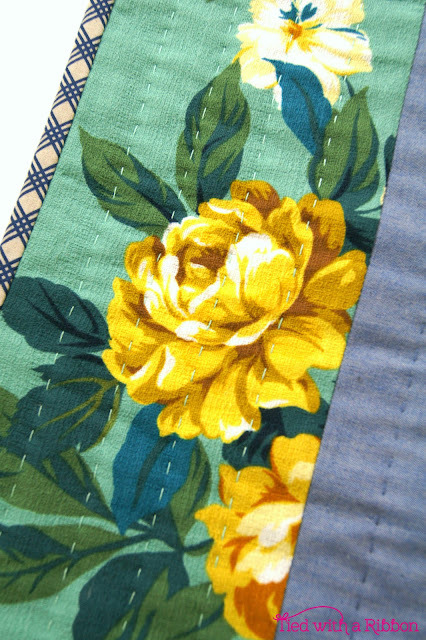 I always get asked how do I get my hand quilted lines so straight! 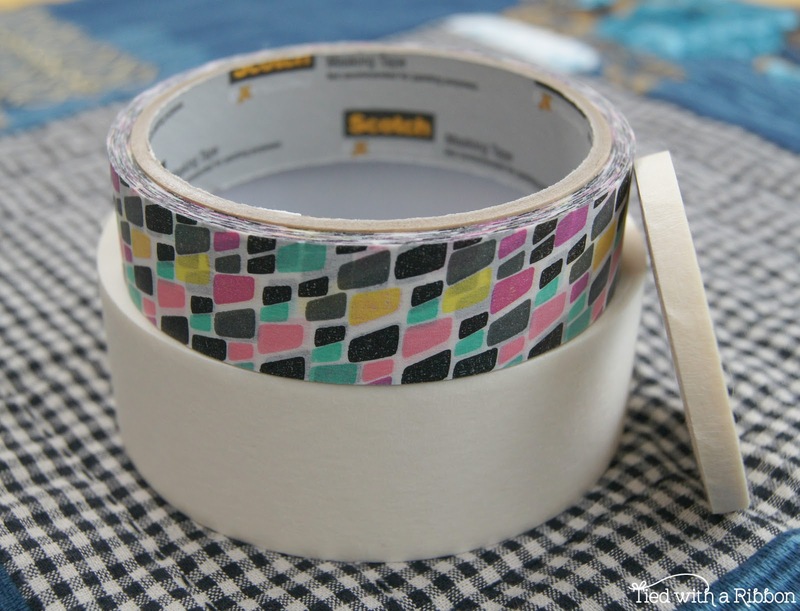 Well, that is really easy when you use Masking Tape. I don't like to use Marking Pens on my quilts when I hand quilt them, so I use Masking Tape to stick to the fabric to mark where to quilt. I use the lines in the seams and have a variety of sizes of Tape starting at 1/4in wide (available in Quilting stores) to the normal masking tape you find at your local Supermarket or Hardware store in a variety of widths (1/2in, 1in, 2in...). It re-sticks a few times and leaves no mark that needs to be removed. 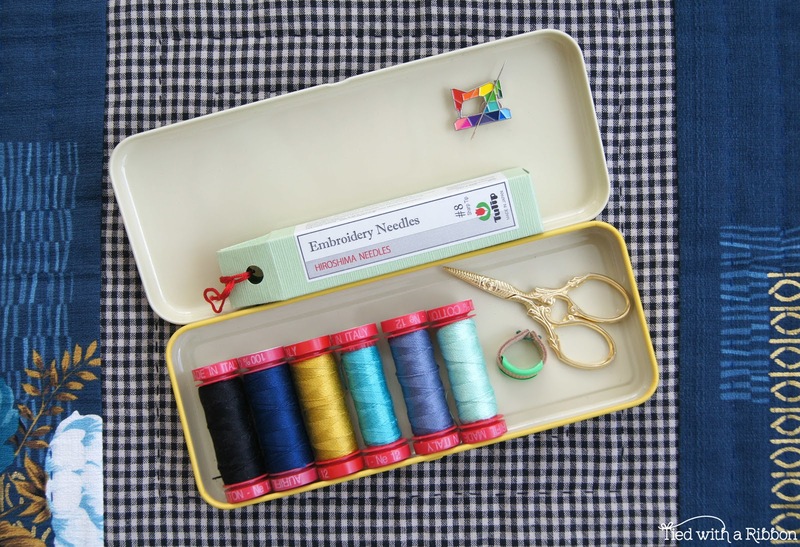 NOTION 3 - AURIFIL THREAD. 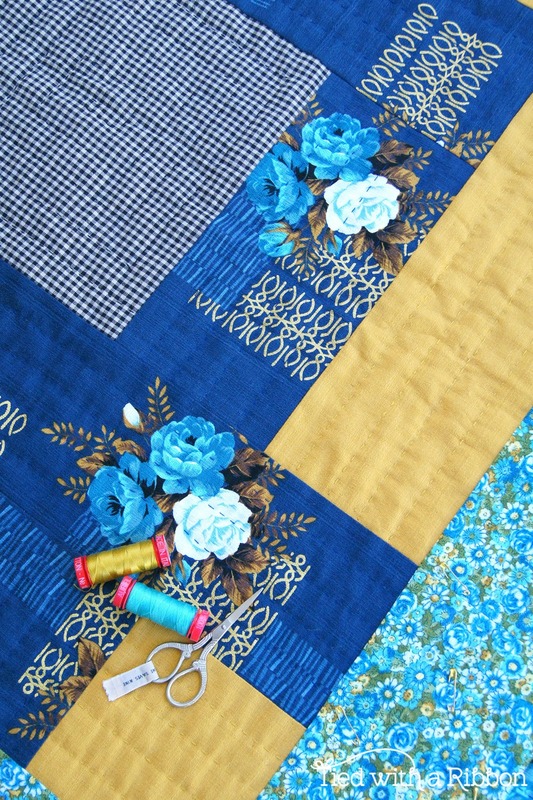 I love to see big stitches in my hand quilting and the thread I love to use is Aurifil 12wt. The reason I love it is because of the selection of colours available. Really, there are so many colours to choose that you can always find one to match your fabric. 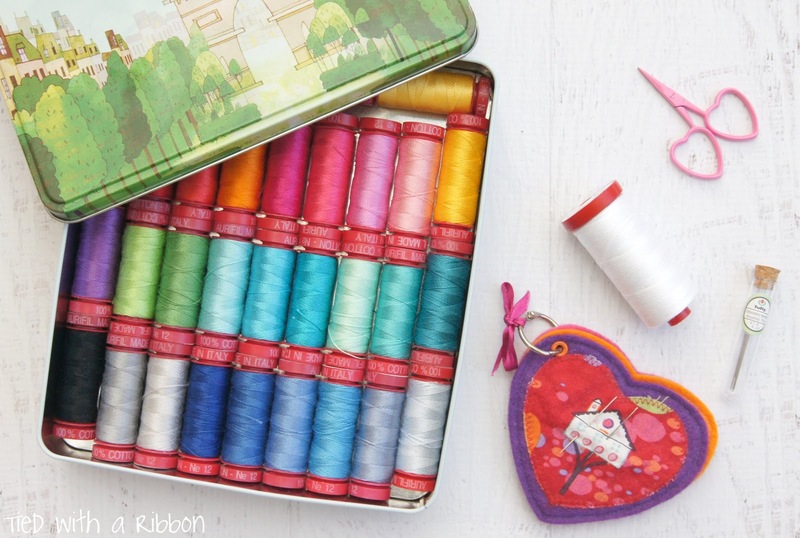 You only need one strand and the Spools go a long way in your stitching. (Pictured above are colours #2692, #2783, #5022, 1148, #1248 and #2838). I don't have any trouble with piling or shredding while using them. NOTION 4 - TULIP EMBROIDERY NEEDLES. These are my needle of choice when Hand quilting. They are nice and sharp, a good length to hold and the eye of the needle works well with the Aurifil 12wt. They slide through the fabric like a hot knife through butter. I like the Size #8 - Sharp Tips best. NOTION 6 - THIMBLE. I don't generally use a Thimble 90% of the time while Hand quilting but after a while my fingers can become sore. I like these ones from Kimono House best to use. Hand quilting certainly creates an amazing texture and drape to your quilts. 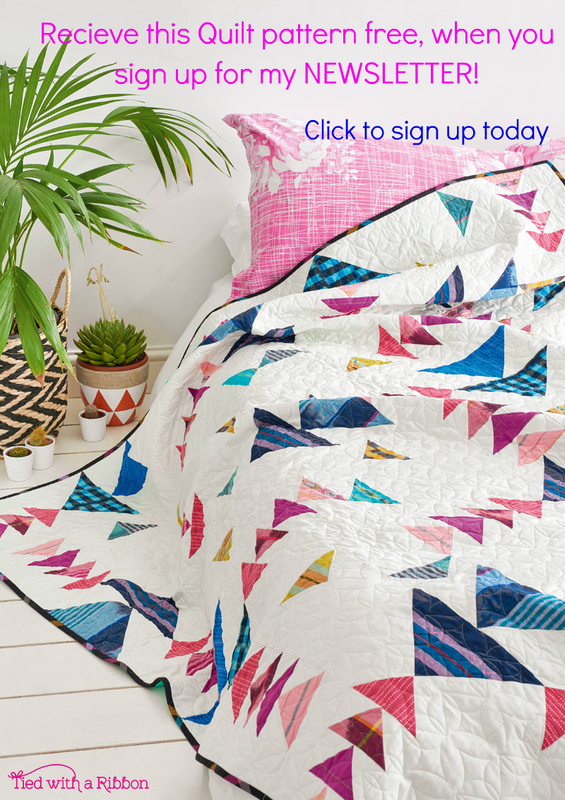 It's definitely worth the time and effort to give your quilt that special finishing hand quilted touch. Really interesting especially the tape and needles. 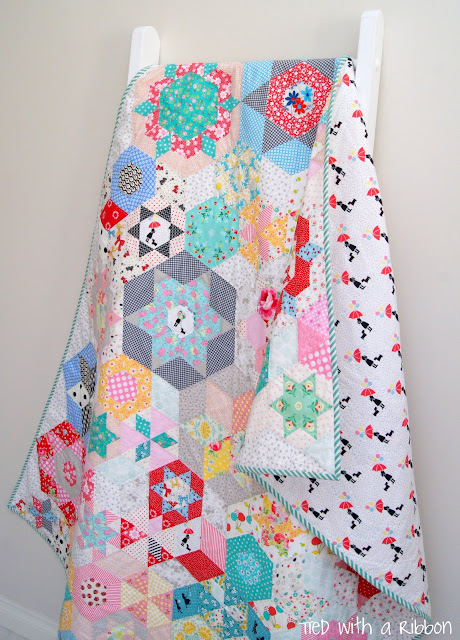 I would love to know what sort of action you take for the stitches, whether you favour the rocking method that a lot of people use or something else? 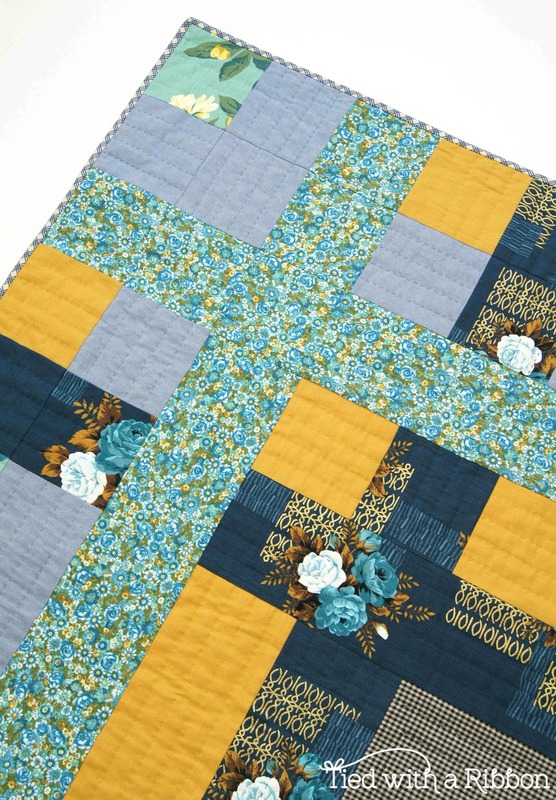 I don’t do much hand quilting and find it hard to keep stitches even front and back. Yours look perfect! Hi Samantha - I use a similar action to Sarah Fielke - yo can google here and she has several tutorials online for this method. Mostly its just practice. I have a 5" square of fabric that I pinned to the arm of my chair where I like to hand quilt. This is where I stick my needle when I need to park it. It is also where I put my thread bits while I sew, those snipped ends and such. 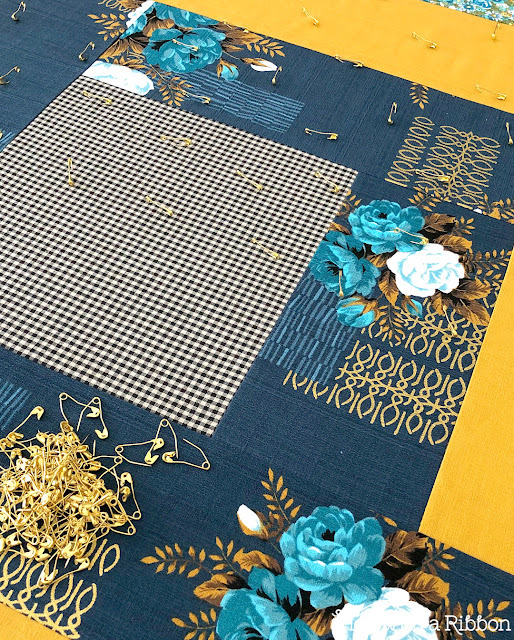 Then I can roll them into a ball and trash them when I am finished sewing. No more complaints from hubby about errant needles and little threads everywhere. Should mention that this is where I sit when I have to rip out stitches, too. Sounds like a great little spot to sew in Jeannie. This was a timely post for me, thank you! Like Samantha, I'd like to know more about your stitching method. 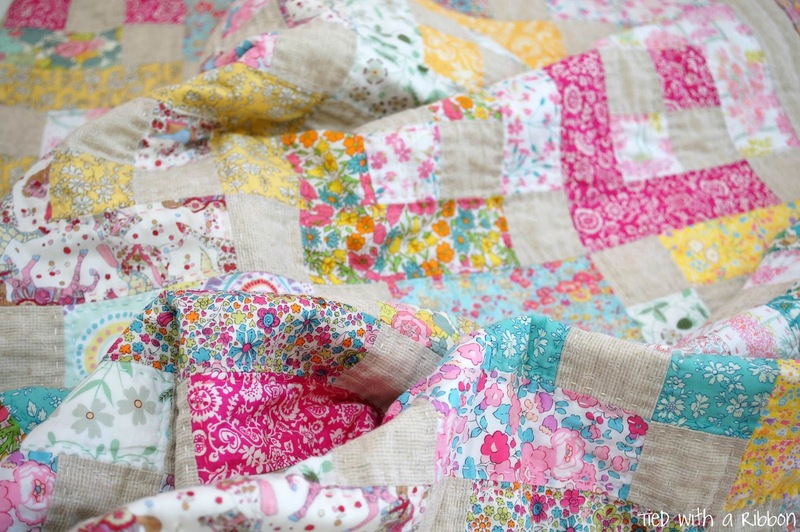 Do you quilt away from you? I'm guessing you don't use a hoop as you didn't mention it. 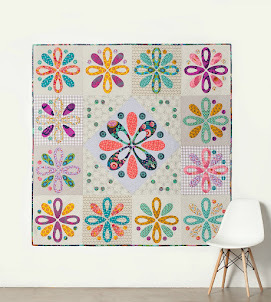 Your quilts are beautiful - Junction Road is so lovely! 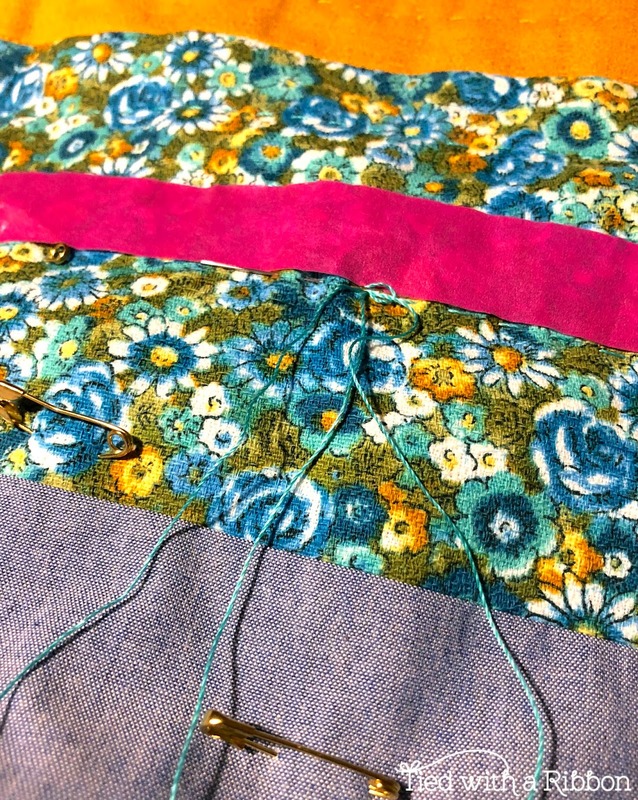 Hi Sue, I stitch right to left keeping the section I am always working on directly in front of me - this means I am turning the quilt but helps prevent the skipped stitches on the back. 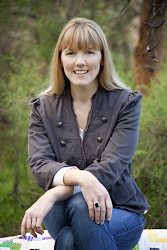 There are a few good tutorials by Sarah Fielke. I absolutely recommend using a hoop for beginners but I don't us one anymore - I find I have it worked out now without the use of one. Hope that helps. Sorry...me again! After pretty extensive online searching I can’t find a comprehensive tulip needle stockist here in NZ - I’ll have to order from overseas. Can you tell me where you purchase yours please? No worries - I got mine from Ava and Neve, Be Be Bold may also have some - you could try either of this two. Hello just wondering where in Perth I can find a good range of the aurifil 12wt thread colours? Hi Tanya, Carols of Midland, Materialise and Cotton Rose, all, I know stock a good range of Aurifil 12wt thread colours. Hope that helps.